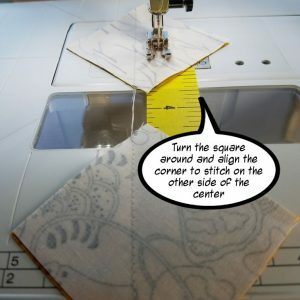 In September I attended the first ever SewPro Convention. I learned a lot and met so many fantastic people. Among them was Anne Beier of Hudson Valley Quilts. I feel so fortunate to have connected with her! She is an energetic and studious sewist. I love her inquisitive nature and her ability to turn her ideas into words. This is why I feel so lucky to be featured on her blog. Not only have we become friends, but we are collaborative colleagues now. Please visit Anne’s blog if you want to get to know me and check out the fabulous giveaway we are offering together. I am also offering a couple of Half Square Triangle [HST] assembly tips if you are interested in working with HSTs. 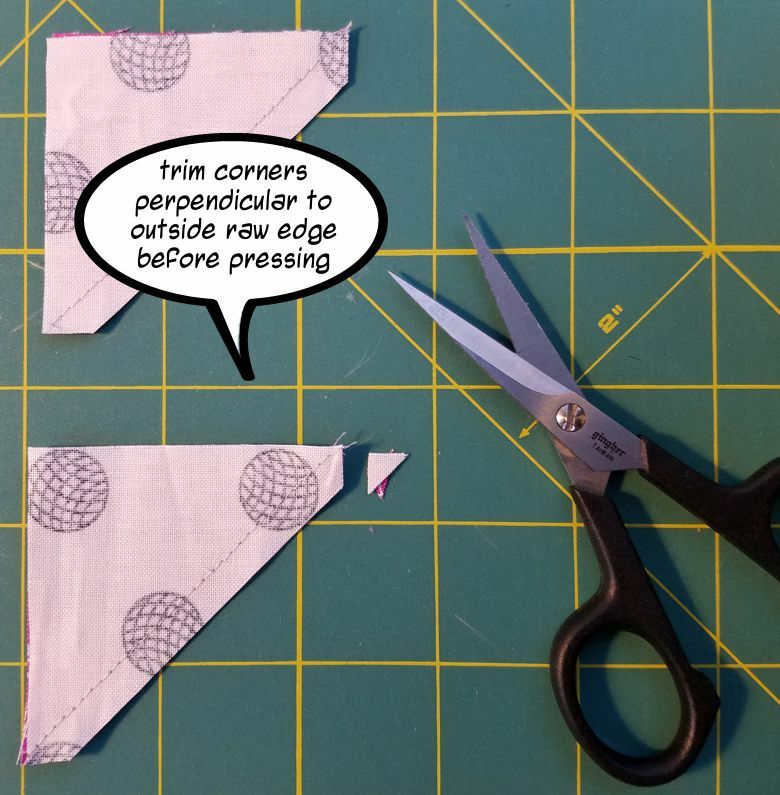 There are so many ways to make HSTs. You can make them one at a time, two at a time, 4 at a time and even 8 or more at a time! I prefer to make mine 2 at at time. For me, this way works best because there is less waste and not as much need for squaring up. I like using this method for HSTs smaller than 5 inches because it requires no marking. 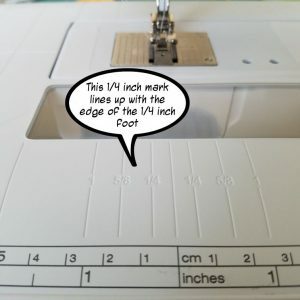 One of the features I love about my Bernina is the measurements marked on my sewing table. 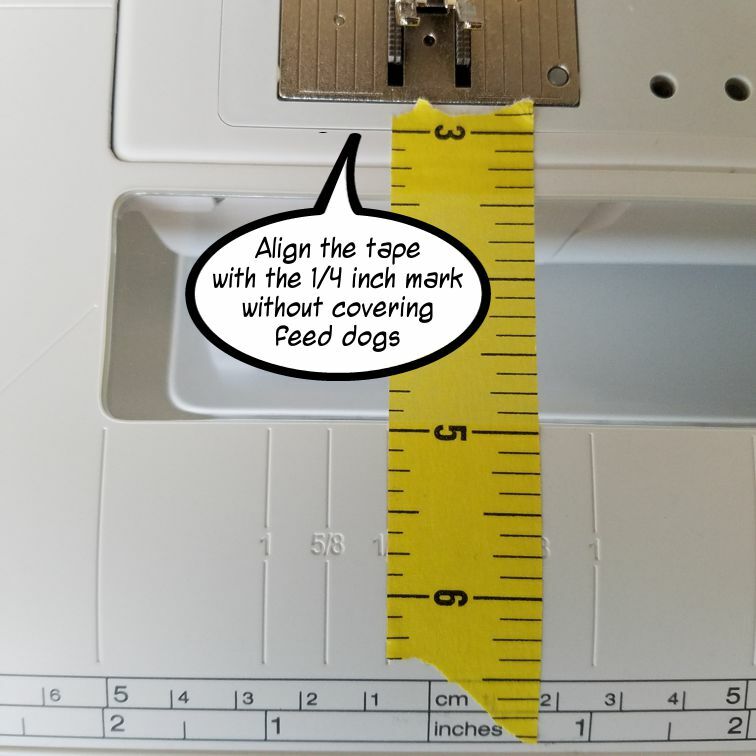 So I use the 1/4 inch mark to line up the tape with the edge of my 1/4 inch foot. 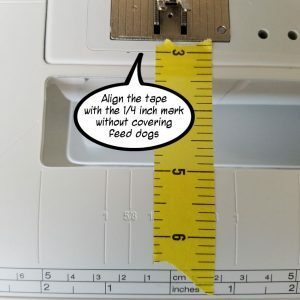 Place a 4 or 5 inch piece of painter’s tape or washi tape on the table of your sewing machine making sure to line it up with the edge of your 1/4 inch foot. Set up your squares in pairs, Right Sides Together (RST) with corners lined up. Start by aligning the back corner of your square pair with the edge of your presser foot. 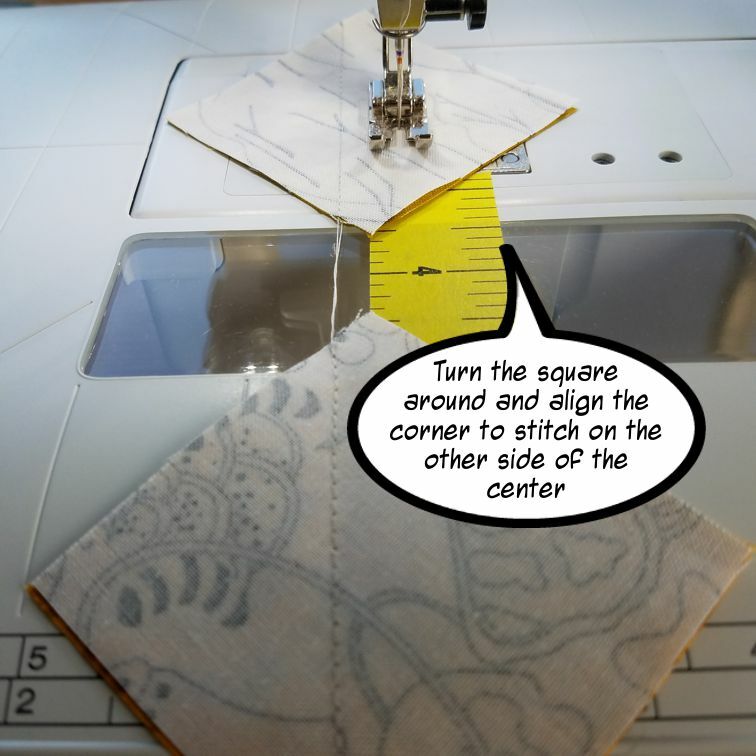 Then align the opposite corner with the edge of the tape, while keeping this corner aligned with the tape, stitch your seam. You can chain piece the HSTs by aligning the next square with the edge of the presser foot and tape. I like to pull about an inch of thread between each square. 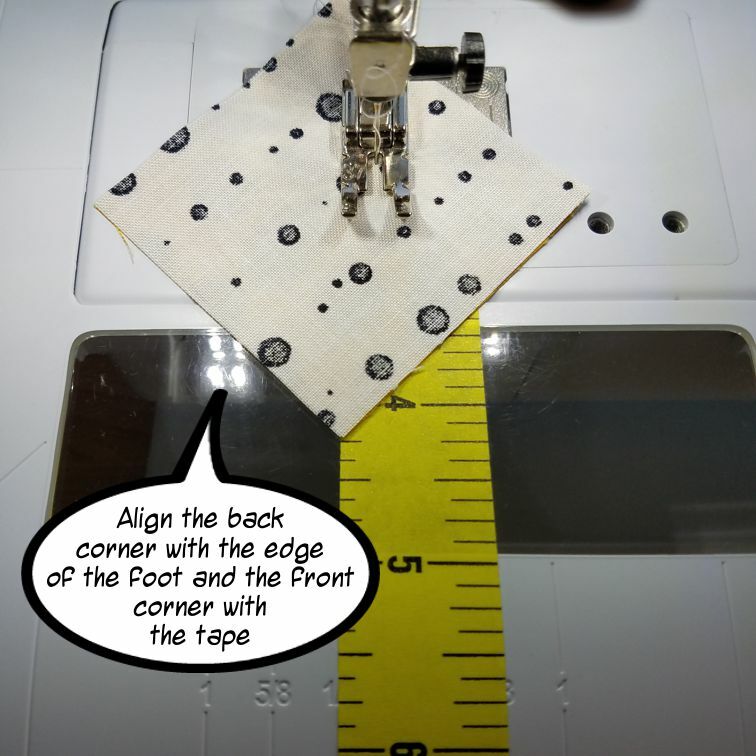 To stitch on the other side of center, turn squares around and align the corners with the seam you already stitched to the left of the presser foot. 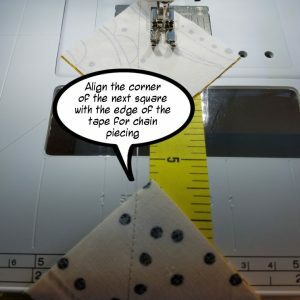 To separate your HSTs, cut between the seams by aligning your ruler with the two opposite corners. Trim the ‘dog ears’ of each HST by cutting the corners at the seam perpendicular to the outside raw edge. 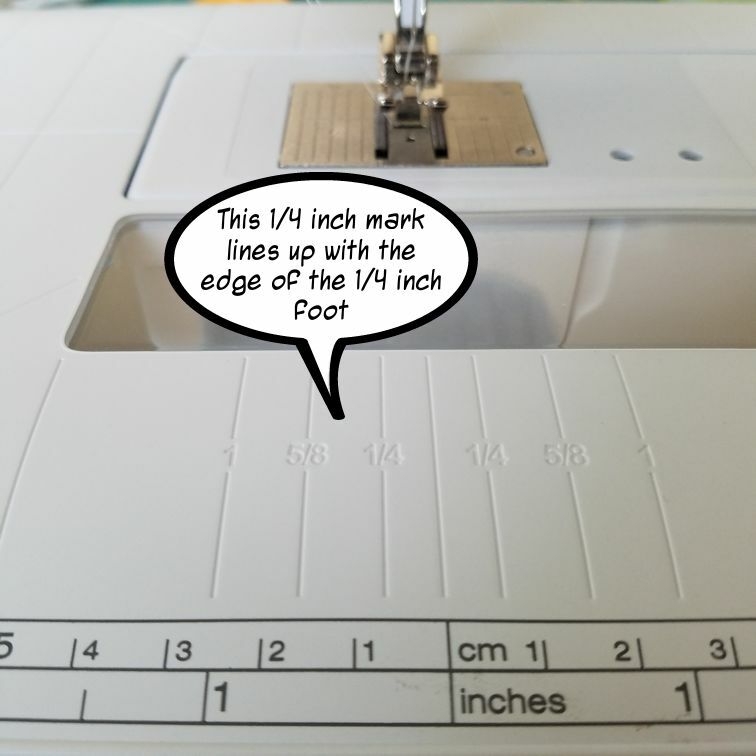 When pressed open or to one side the corners will not add bulk to your seams because they are gone. 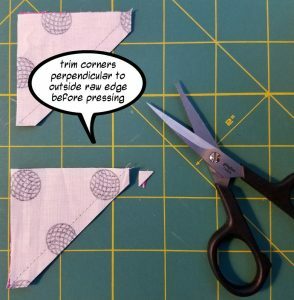 Enjoy making your HSTs. Please visit Anne at Hudson Valley Quilts to learn a little more about me!